Despite stories in the news about the battles between public school and charter school systems, charter school enrollment continues to rise. More than 300 new public charter schools opened in fall 2017 alone, with student enrollment growing by 5 percent. This impressive growth teaches us a few things: that parents are quickly discovering the benefits of a charter school, and that charter schools, despite some public misconceptions, are here to stay. If you’re still on the fence about sending your child to a charter school in your area, there are plenty of reasons to make the switch. From more educational freedom to smaller class sizes to safer physical and social environments, there are too many benefits to name in one blog post. 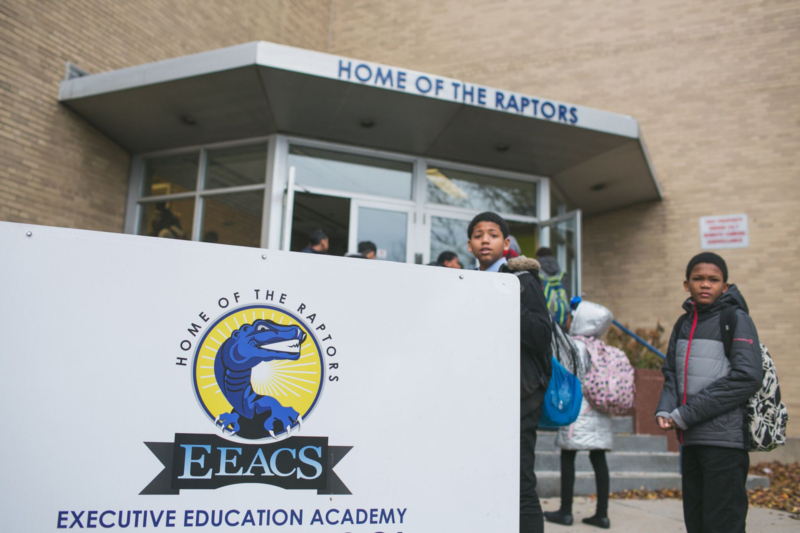 Discover the top three benefits of a charter school, then learn more about the work we do here at EEACS by scheduling a tour. Many charter schools expand on the opportunities provided in a normal classroom. They’re places where students are welcome to explore their interests, enhance their creativity, and try their hand at new skills. Innovation reigns supreme, experiences take priority, and hands-on-activities often replace lectures and worksheets. At a charter school, education is never one-size-fits-all. At EEACS, we offer a one-of-a-kind business education curriculum unlike any business program offered by any other Lehigh Valley school. The program starts in elementary school with lessons in software, graphics, and keyboarding. In middle school, students learn business applications, financial management, and investment strategies. In eighth grade, students begin on-site field experiences, followed by internships and career readiness programs in high school. We’ve partnered with dozens of Lehigh Valley businesses and organizations, ensuring that every student has an opportunity to get involved. You won’t pay an extravagant tuition should your child attend a charter school. Charter schools like EEACS are funded in part by tax dollars like any public school, which requires us to follow state mandates in regards to standardized testing. However, there’s a sense of exclusivity to our school. Class sizes are small. Teachers know your child’s name. At EEACS, the rigorous coursework and abundance of student activities allow close bonds to be formed between teachers and students. No one is ever a number; they’re a name, with a face and a story. Perhaps the biggest benefit of a charter school is simply the choice that you have as a parent or guardian. If you’re unhappy with the education your child is receiving, or if your child feels unsafe in their classroom, charter schools allow you to take control over the education your child receives. Until the advent of charter schools, the increasing inequality between the area’s top schools and lower schools meant that thousands of children were denied an education they rightfully deserved. This is no longer the case. Your child has every chance to learn, to thrive, and to grow. Whether you’re one of these parents looking to have your voice be heard, or simply a curious member of the community, if you’re interested in learning more about our Allentown charter school, you can schedule a tour of our classrooms and facilities.